LAS VEGAS, NV--(Marketwired - Oct 6, 2016) - DigiPath Labs, a subsidiary of DigiPath, Inc. (OTCQB: DIGP), an independent cannabis testing lab and media firm, is pleased to announce that it has delivered its first cannabis Medicinal Genomics' StrainSeek™ genotyping results to two of its clients, Green Life Productions (GLP) of Nye County, NV and Polaris MMJ of Clark County, NV. Cindy Orser, PhD, Chief Science Officer at DigiPath Labs, commented, "Cannabis strain genotyping represents the consummate quality assurance that a testing lab can offer to both its cultivation clients as well as the MMJ patient, as it is the definitive dimension of authenticity that Digipath Labs now offers through partnership with Medicinal Genomics of Woburn, MA." Medicinal Genomics StrainSeek™ genetic analysis of over 500,000 DNA base pair reads from GLP's Fire Angel and Polaris' Head Cheese genomic DNAs, when compared with the current reference genome for Purple Kush CanSat3 (van Bakel et al. 2011 Genome Biol 12(10):R102), identified single nucleotide polymorphisms or SNPs. SNPs are basically DNA base pairs that differ as the result of mutations and serve as the basis for establishing genetic relatedness. When used for downstream population genetic analysis in comparison to the ever growing database of cannabis strains that have been sequenced to date, SNPs inferred the relatedness of Fire Angel and Head Cheese to other strains based on genetic distance. Fire Angel's CBD > THC chemoprofile is in alignment with its nearest genotyped relatives Cannatsu, CherryDurbanPoison and JackHerer, and Head Cheese is in alignment with Super_Lemon_Haze. "GLP is elated to be one of the first medical marijuana cultivators in Nevada to use StrainSeek™ genotyping to digitally timestamp one of our most unique cannabis strains," said Kouanin Villa from Green Life Productions. 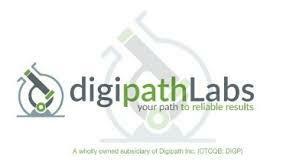 "DigiPath Labs is really on the cutting edge of science and that's one of the reasons we love working with them." "It was really interesting to find out how unique the properties of Head Cheese are, an E2Genetic grown exclusively by Polaris MMJ in Nevada," said Peter Ishak, Master Cultivator and part owner in Polaris MMJ. "Head Cheese has a strong following and it's great to now have genetic testing information that we can share with patients."